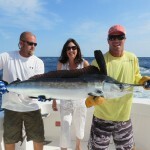 Home » Fishing Report » Great Summer Fun! Wow, what a Summer! 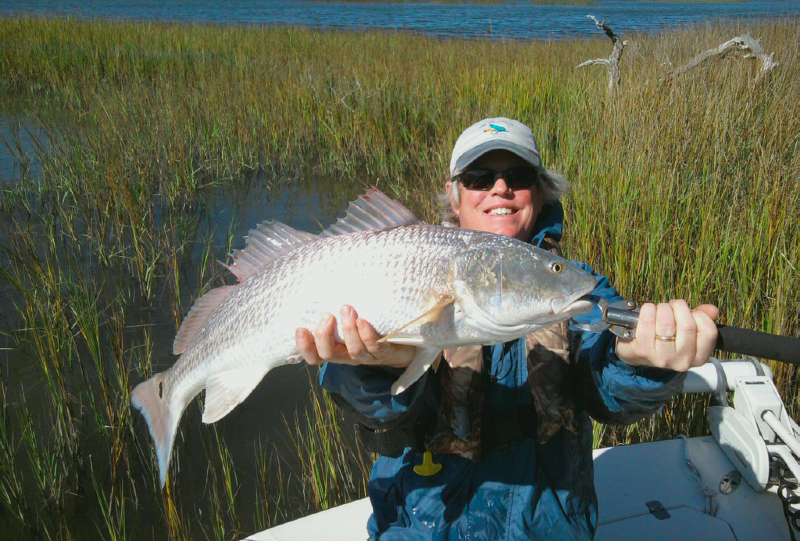 The Red Drum bite inshore has been really consistent, with lot’s of Topwater and Fly action up in the shallows. 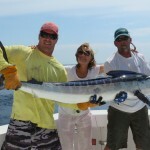 Great sightfishing action for feisty Reds is always hard to beat! 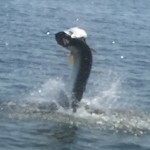 The past Month or so has offered up some Tarpon fishing like I’ve never seen! We were very fortunate to be prepared for some unbeleiveable opportunities. 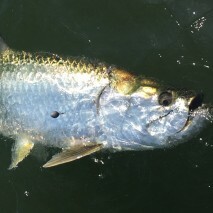 Starting our season off with two fly bites in two days on Tarpon, right in the backyard!! 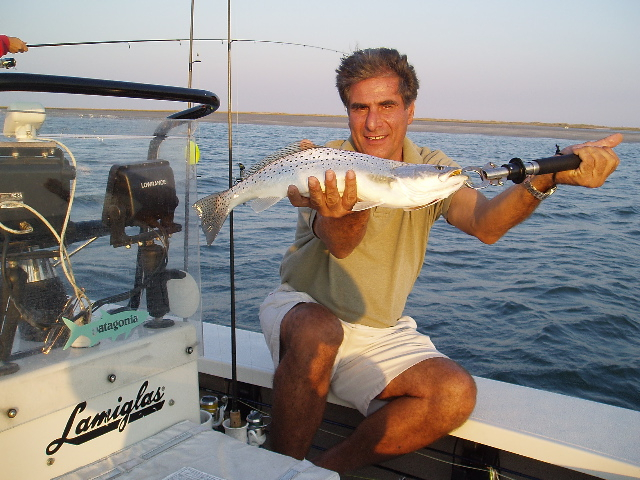 The first one broke off on a violent sub-surface take of a custom Menhaden Hi-Tie by Scott Randall, but still left angler Mike Ollinger in a “knee-knocking” state of amazement for the rest of the afternoon. 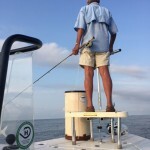 The next morning I had Bill Rustin, longtime friend and seasoned Tarpon Fly angler, and his wife Mary-Louise with me as we had hopes of another bite. Not an hour into the morning we amazingly had a shot at some rolling fish and Bill made a great cast and got another violent take on a black and purple Toad fly and we were “off to the races”, as the fish surged in a tight circle in front of the bow and proceeded to strip fifty yards of backing off the reel and then go airborne in classic Tarpon style. 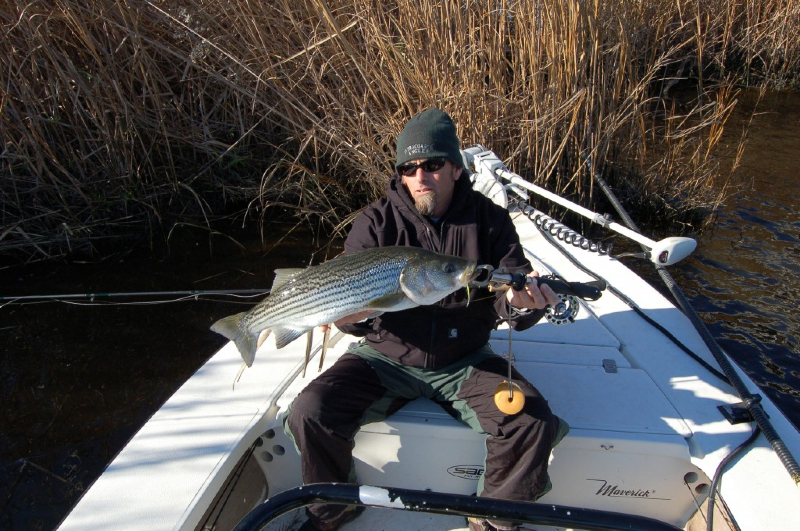 As Bill has caught hundreds of Tarpon on the fly, after a few more jumps and some dogged close in runs, he used his experience to subdue the fish boatside and bring the leader inside the fly rod tip, in under an hour, to constitute a legal tournament catch. He then deliberately broke the fish off with a barbless fly, to ensure the fish’s survival. we estimated the fish’s weight at 125lbs. Bill and I have been fishing together for more than ten years and I will never forget that day, we had discussed the possibilities of a Tarpon on the fly for years and were prepared when opportunities were possible, but I am still in awe of what happened. 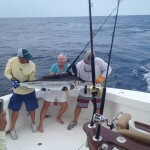 To top it of Mary-Louise caught an 80-90lb Tarpon the next day on bait off the back of the boat while Bill was looking for fish to throw the fly at on the bow! 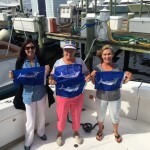 I have included some pics of a few of the Tarpon we have caught on bait in recent weeks, and also some White Marlin shots of a recent trip to Ocean City, MD. 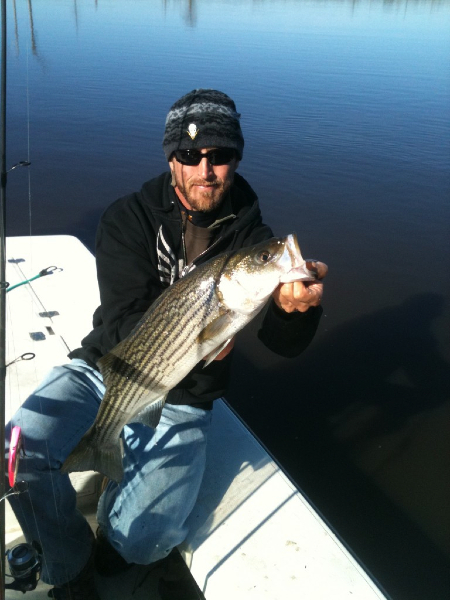 We tried a little Fly fishing but opted to conventional fish and caught nine! There should still be some weeks left in both seasons so if you have the time contact me to check available dates. Although Summer is leaving us it’s hard not to be excited about the Fall! 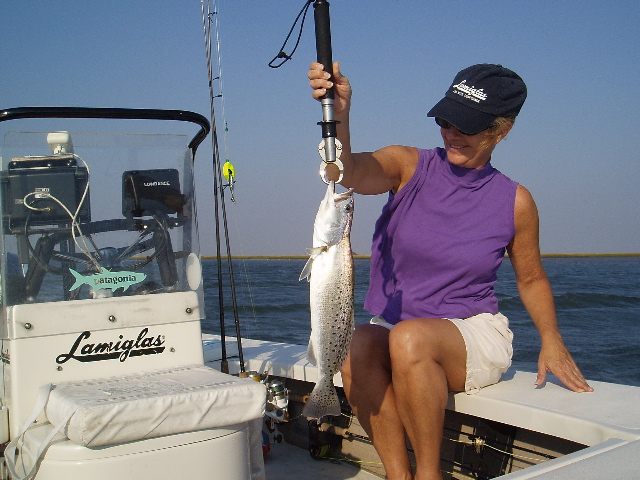 Albacore, Speckled Trout, Striped Bass and some of the best Redfishing to be had all year mixed with some milder Temps make for great days on the water. Give me a call if you would like to book a trip!